On 15th February, the Prime Minister in a press conference announced that the government had asked the 4th Pay Commission to come up with a performance based pay hike for civil servants whereby civil servant who perform more get higher pay than their counterparts. The announcement and move has led to a huge disquiet in the civil service ranks, especially over how the government would measure such performance. 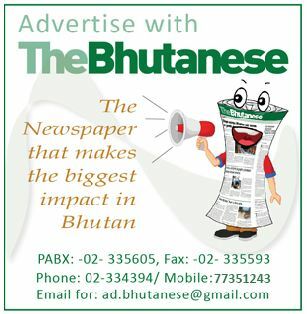 Now Lyonchhen (Dr) Lotay Tshering in an interview with The Bhutanese indicated that he is open to rethinking the issue and not even implementing such a pay based performance incentive. In another major shift of stance, the Prime Minister said that they would wait for the pay commission recommendations and do some stakeholder consultation with the Ministry of Finance, RCSC and civil servants. He said that the government would do these consultations and then go by what they advise. The PM said it all depends on whether one takes the positive or negative aspects. “You take the negative sides up there will be 110 negative things. You take the positive sides up; there are 110 positive things. I am just taking the positive sides up and I am not saying that this is going to be shoved down the throat,” said the PM. 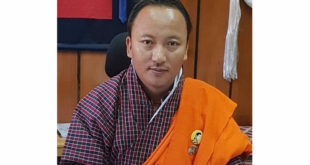 Lyonchhen said that whatever the Pay Commission recommendations on the performance based pay hike he said there would be some ‘addition and deletion’ to the report. “If you want to step into the developing part of the world and if you want to change your mindset we need to change the mindset in every sector, from the givers and lenders,” added the PM. It has been learnt that the Pay Commission is looking at how the RCSC evaluates the performance of civil servants. 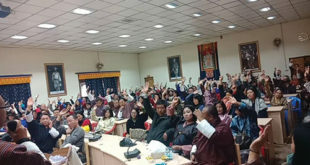 The Bhutanese has also learnt that it is unlikely that the RCSC will recommend a pay based performance incentive though the final decision on pay rests with the government. Meanwhile this reporter talked to two RSCS officials, who requesting anonymity, said that this is not only not a good idea but it had the potential to create chaos in the civil service system. The first RCSC official said that he is not aware of any system across the world where civil servants are paid different salaries on the basis of performance. He said that very nature of the civil service and its mainly social role makes it difficult to quantify it enough for different pay structures. A government secretary that the paper talked to and who also requested anonymity said that the current IWP system is tough enough with target setting, evaluations and other issues. 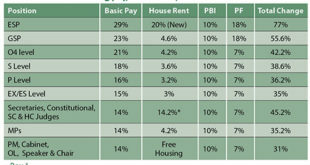 He felt that coming up different pay packages based on performance would probably not work in the civil service. One workable thing may be special allowances for certain categories of work based on their difficulties and work hours. Here it has been learnt that the Ministry of Health and Ministry of Education have proposed certain allowances for their professional staff.